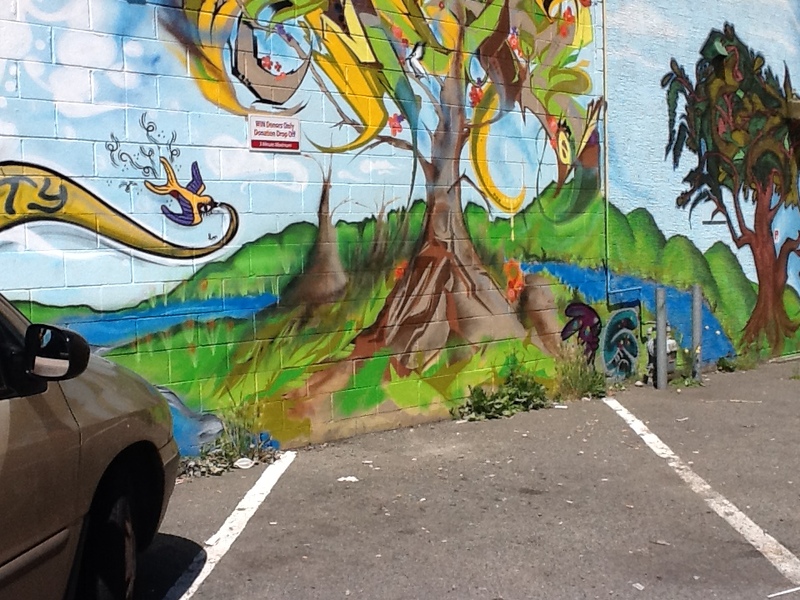 Did you know that fibre can be kept out of the landfill? Sure you probably send your gently used clothing to the thrift store where someone else can enjoy it affordably. But what about the other stuff? The baby bibs with ground in mashed carrots, the dress shirt with the leaky ballpoint on the pocket, the ragged bath towels, the teeny-tiny scraps of quilting fabric, the little bits of batting we all have? These can all be recycled and come back to life in various forms, such as industrial wiping rags and mixed fibre filling for pillows. 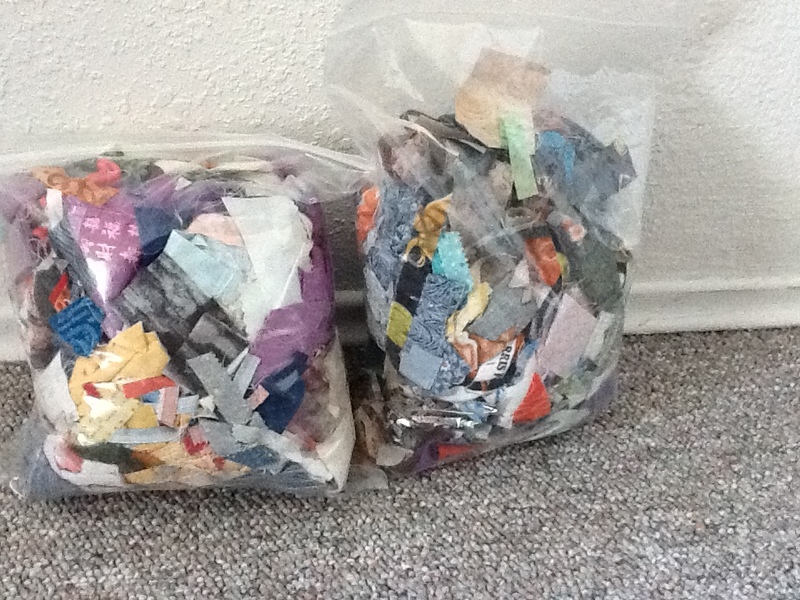 These two bags represent a few weeks of sewing snippets. With my determination to get my scraps under control, I gathered these up along with some gently used wearables and knick knacks and we headed to WIN, Women In Need, a local Victoria organization that operates a thrift store, recycling clothes, housewares and furniture. They are able to accept CLEAN mixed fibres such as these offcuts and sell them to companies that recycle them. Here’s a shot of their parking lot. This is worth checking out — please make sure that the charity you plan to help can in fact accept textiles for recycling. One of Oxfam’s biggest expenses is paying to get rid of the stuff people donate that the charity can’t use, and I believe Goodwill has a similar issue. Also, if it’s old clothing you would wash it first of course! What’s your best tip for keeping stuff out of the landfill? Please share!